Mankind has long sought easier and more effective ways of doing things by harnessing the power of the world around us. For much of human history, the most common source of power was animal power. Today, this has been replaced by electricity and the internal combustion engine; but before that, man learned how to harness the power of nature through the water wheel. 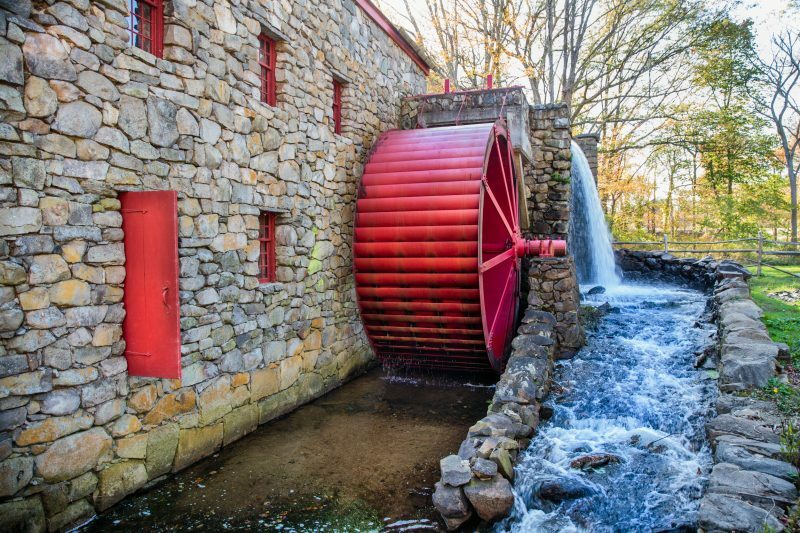 When most of us think of water wheels, we tend to think of the colonial period of our country’s history, when water wheels were used for sawmills and gristmills. But in reality, water wheels go much farther back than that. They were in common use during the Middle Ages and were used throughout Europe for gristmills, but the earliest reference to the water wheel predates even that point by several millennia – going all the way back to 4,000 BC. Originally, water wheels were used to raise water out of riverbeds so that it could be used for the irrigation of farmlands. While a very important purpose, this is only one of the many things wheels can be used to accomplish. This amazing piece of technology may very well have been part of what brought about the industrial revolution. 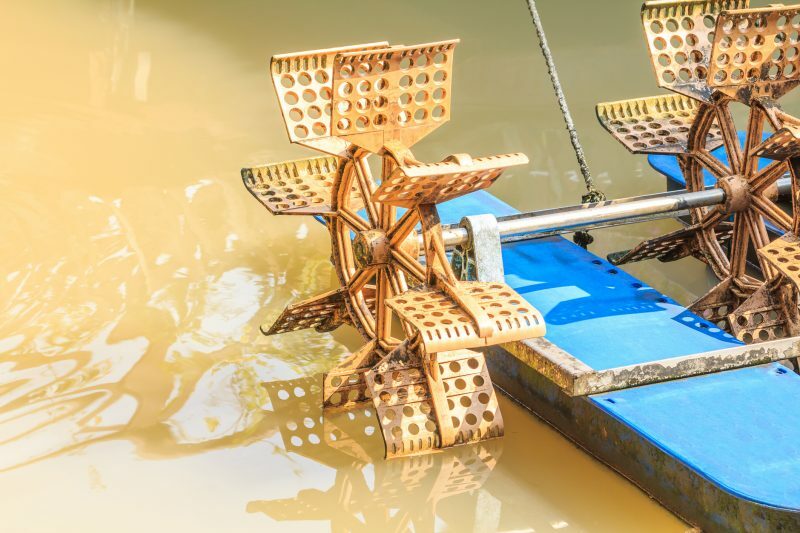 When most of us look at water wheels, we see a distorted view of how they function. For most people, it looks as though the water is pushing the wheel. If this were the case, then increasing the speed of the water would increase the speed of the wheel. But that’s just not the case. 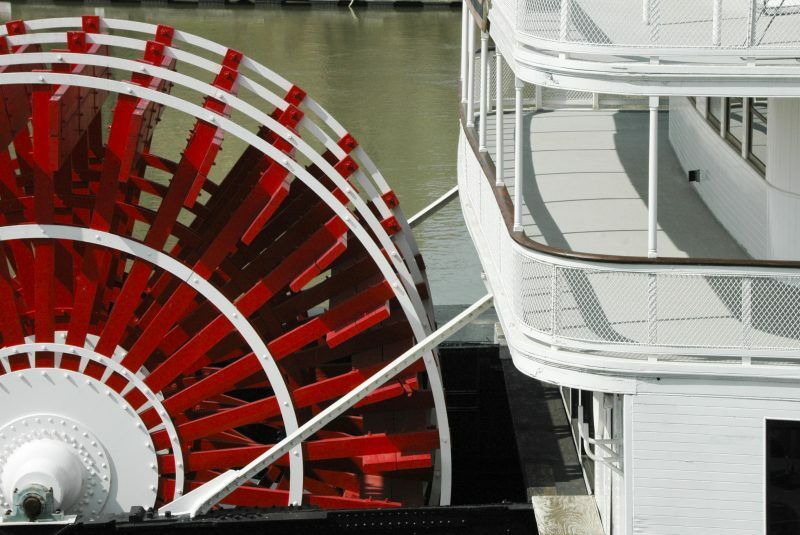 In the case of the old paddle-wheel steamboats that plied the Mississippi River, the opposite was true because the paddle wheel pushed through the water, driving the boat. Water does not push a water wheel: gravity does. 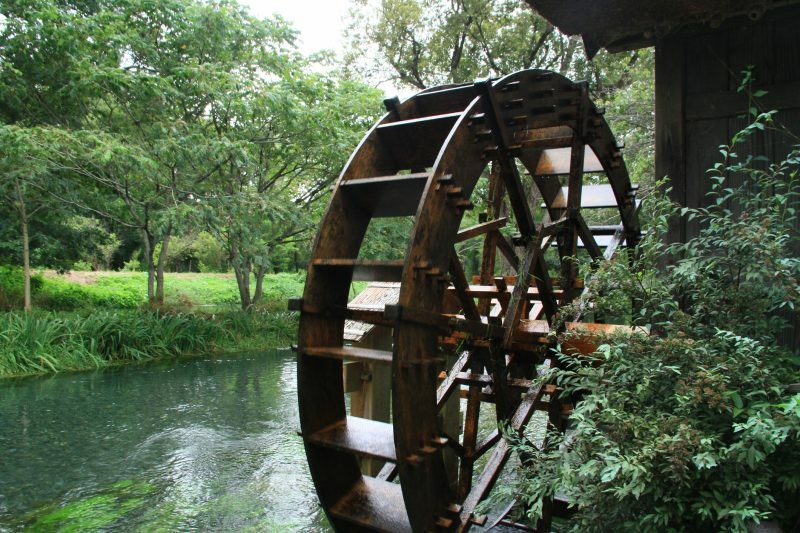 The whole idea of a water wheel is that water enters near the top of the wheel and fills buckets attached to the wheel. This means the buckets that are facing upwards and filled with water weigh considerably more than the buckets that are pointed downwards and empty. As all the filled buckets are on the same side of the wheel, gravity causes them to pull that side of the wheel down. That’s really all there is to it. Because the wheel is made symmetrical on all axes, it is relatively well balanced. So, as long as there is a supply of water coming in to continue filling buckets, the wheel would continue to turn and produce power, which can be harnessed for a variety of purposes. The amount of force that a water wheel produces is determined by two things: the weight of the water that it holds and the wheel’s diameter. To add weight, designers could either add additional buckets or make the buckets larger. Some water wheels have a double row of buckets, side by side, to increase the overall size. A larger diameter wheel also allows for more buckets and increases force in that way. A larger wheel also increases the leverage that the water’s weight has, as the wheel works on the principle of the lever. In this lever, the axle is the fulcrum. So the farther away from that axle the load (water) is, the more force it can generate. So, why is this important? Because many purposes for which water wheels have been used require a considerable amount of force. A gristmill, for example, will have stones that often weigh 1½ tons each, and moving those stones requires a very large force. 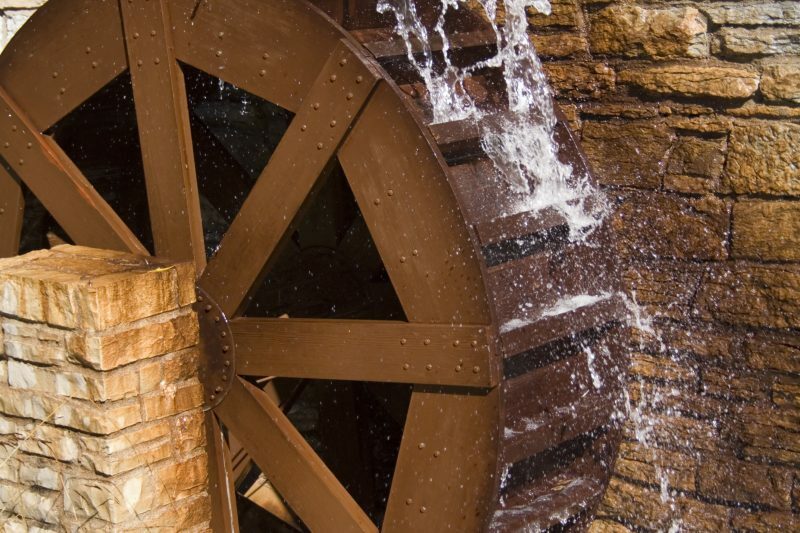 Perhaps the most amazing part of any water wheel isn’t the wheel itself, although that’s the part we all love to look at, but the gears which are in the lower story of the gristmill or sawmill that the water wheel is mounted to. These take the force that is produced by the wheel and turn it into usable force for grinding or cutting. Of course, each mill is different. What works for a gristmill won’t work for a sawmill, and what works for a sawmill with a circular blade won’t work for a sawmill with a reciprocating blade. Nevertheless, there is always the need for some gears, and those gears are usually made of wood. There are two principle gears in a gristmill: one vertical and one horizontal. These allow the force being produced by the water wheel to be turned 90 degrees. One way this is done is with a vertical gear and a lantern gear. The vertical gear is a round disk attached to the same axle shaft as the wheel. There are spokes or pins sticking out from this gear perpendicular to its face. The lantern gear gets its name because it looks a bit like an old-fashioned oil lantern. It is essentially a cage consisting of top and bottom disks with spokes going between them. These spokes are spaced and sized so that they can interface smoothly with the ones sticking out of the vertical gear. So, every time the water wheel turns, it turns the vertical gear, which in turn is attached to the top stone of the gristmill and causes it to turn. As time went on and technology improved, the design of this gearing grew more complicated. The speed at which the millstone turned could be changed by changing the size ratio between the two gears. Additional gears could be added, giving the miller the ability to produce finer ground grain through a multi-stage milling process as well as performing multiple operations in the same mill. One of the most devastating disaster scenarios we could possibly face would be the loss of the electric grid. There are a number of ways this could happen – either through cyber attacks, solar flares, or an EMP attack. If it were to happen, we would be without electrical power for an extended period of time. 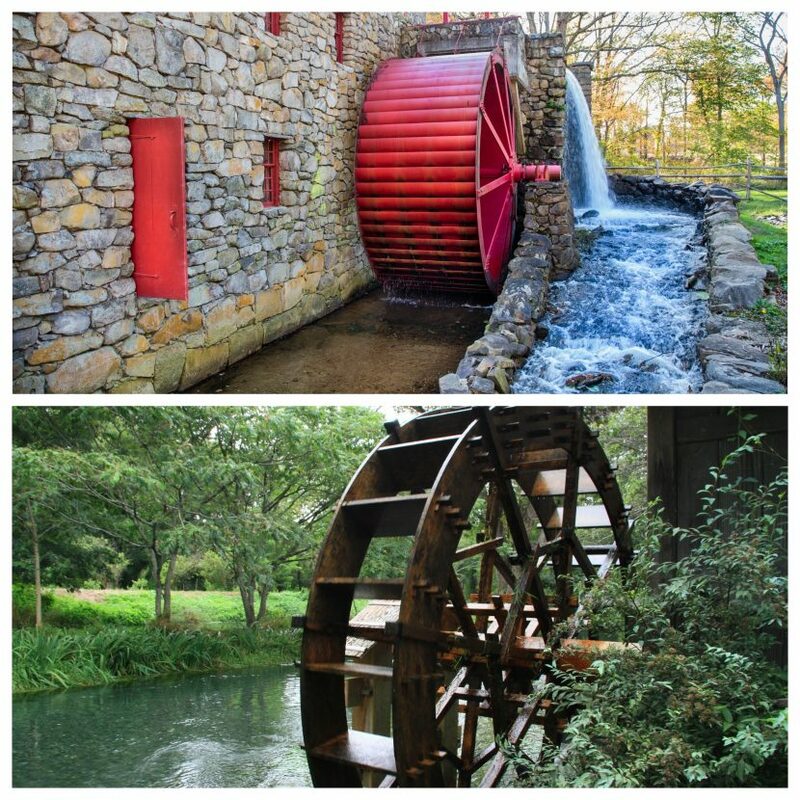 With modern materials, building a water wheel is much simpler than it was for our ancestors. In the event of a disaster that destroys our source of electrical power, a wheel might be the only power source available for some time. This would give those who own a water wheel and have it connected to other tools the ability to do things that others can’t. Of course, the prerequisite to all this is living somewhere where you have access to water to power your wheel. For most wheel designs, this means someplace where you can get about a 15-foot drop between where the water enters the wheel and where it exits the wheel. Obviously, this is easier to accomplish if you are in hilly or mountainous terrain rather than on the flatlands.